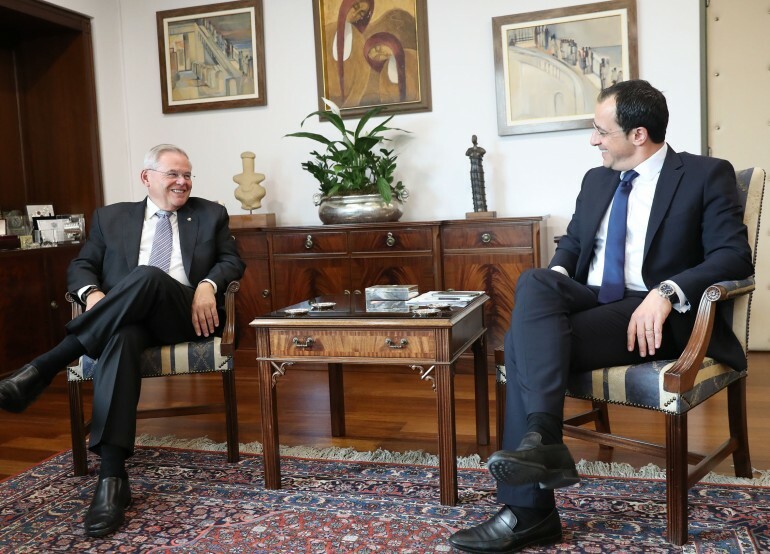 United States’ Senator Robert Menendez referred to “a great moment for Cyprus” to form a new relationship with the United States and the West, after a meeting with the President of the Republic of Cyprus Nicos Anastasiades, in Nicosia. “We had a very extensive, very positive discussion and I look forward to continue deepening the relation between the United States and Cyprus. I think there is a great moment for Cyprus, to find a whole new day in its relationship not only with the United States, but with the West,” he said. Prodromou pointed out that military equipment was not the issue, however the political embargo which was imposed in another time, was dissonance in the strategic relationship of Cyprus with the US. He also noted that it was important the fact that the bill has been tabled by both major political parties in the US, something that “improves the possibilities and shows that this is a national issue for Cyprus and the United States”. 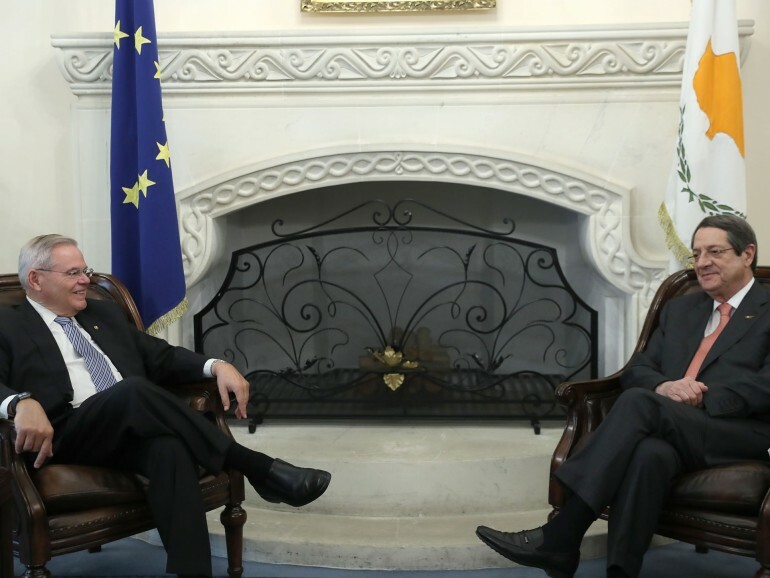 “All this also serves the geostrategic interest of the US, especially since it is now being strengthened with the specific energy interests of US companies operating in Cyprus”, he said.